National Young Farmers Coalition | Check out our new land access page! Check out our new land access page! 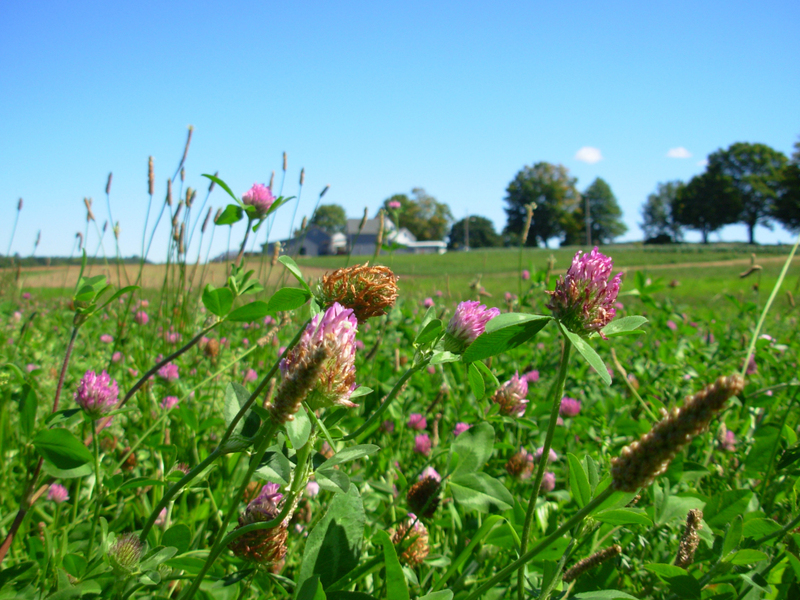 Looking to stay up to date with NYFC’s work on land access for beginning farmers? 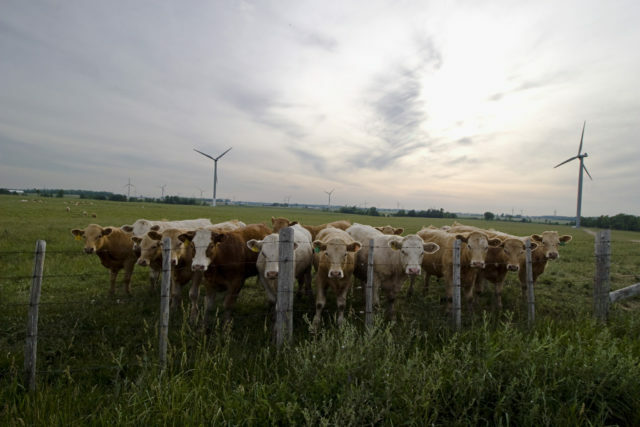 Check out our new land access page where you will find links to our Conservation 2.0 report, land access working group, policy advocacy work, and case studies of farmers getting on the land. There is also a collection of resources and reports on land access issues that we will continue to update. Be sure to check back in the fall for our guidebook on working with land trusts! Apply now for the fall workshop! In 2013, NYFC conducted a survey of over 200 land trusts and conservation professionals, which formed the basis for our Conservation 2.0 report on how land trusts can help save America’s working farms. The responses were instrumental in helping NYFC paint a picture of the land access challenges that young farmers are facing and the role that land trusts can play in helping farmers overcome these obstacles. It’s time to take the next step. As NYFC founders and co-owners of Hearty Roots Community Farm, Lindsey and Ben, wrote about in their New York Times Op-Ed, access to farmland remains one of the biggest barriers that beginning farmers face. 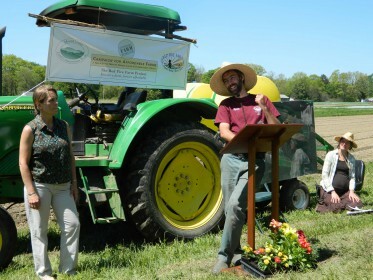 The innovation and leadership demonstrated by a number of land trusts, however, have opened up new possibilities for helping these farmers succeed. 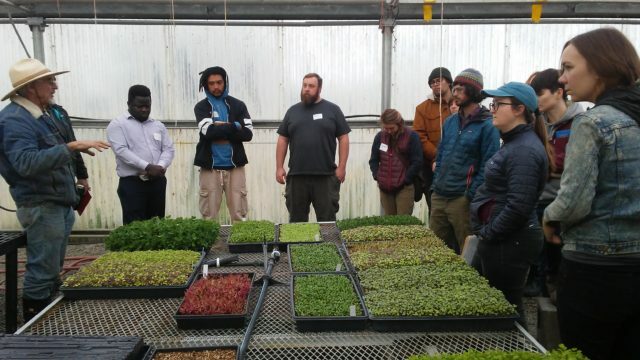 NYFC and Equity Trust are convening a national training and working group focused on farmland affordability tools and implementation to scale up these strategies. The training will take place on Sunday, September 21, 2014 in Providence Rhode Island from 8:30 AM – 4:00 PM. The one-day, in-person training is aimed at staff from land trusts with a high degree of commitment to protecting working farms and sufficient capacity to move forward in the implementation of farm protection projects that incorporate affordability innovations. 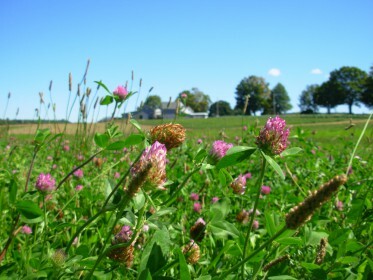 Land trust participants will receive coaching on easement enhancements and ground leases that preserve affordability and active farming; funding strategies; monitoring and enforcement; and legal considerations. They will also receive ongoing support from the mentor organizations as they implement these strategies. Apply now to take part in NYFC and Equity Trust’s professional training and working group! A $500 reimbursement is available to participating land trusts to help cover travel costs. Mentor organizations will be: Equity Trust (lead mentor), Vermont Land Trust, Peconic Land Trust, PCC Farmland Trust, and Mount Grace Land Conservation Trust. The deadline to apply is July 25, 2014.